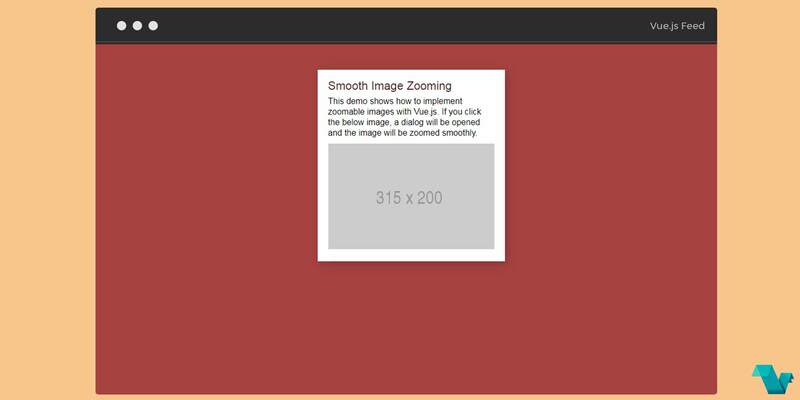 A smooth image zooming effect powered by Vue.js. This demo shows how to implement zoomable images with Vue.js. If you click the below image, a dialog will be opened and the image will be zoomed smoothly. Take a look below to the pen to see how you can use Vue to to fix images into a container and zoom in smoothly, all done within a Vue component.